I graduated from IIN in September 2013. I am currently enrolled in the Immersion Program and Launch your Book Class with Joshua. I am a successful business owner- I have been in the health and beauty business (in midtown Manhattan) for over 11 years. In efforts to develop my coaching practice I have been purchasing and reviewing many of the programs being dangled in front of our faces. What to do? Well, I bought many programs. They certainly weren't all created equal. I am here to listen to what your needs are and offer you my advice- FOR FREE. I get to know and test drive the different programs available so that I can be the best coach possible. I keep up with the latest offerings. if there are affiliate links- I do ask you use mine. BUT MONEY will NOT sway what programs that I will recommend IN FACT most of my favorite programs are CHEAP or FREE! I love getting the emails and texts from coaches I have been helping- they are so grateful and that makes me thrilled! A way to get the truth and honest feedback about the programs. In addition to MY feedback- I also ask other coaches and I am apart of over 20 coaches forums. Want to know if a program is truly done for you? Any spelling mistakes, design flaws? is this season better than last? Did people really launch? If you need help how responsive were they? Don't know where to start? I DO! Email me at awareofthis@gmail.com Subject- COACHES SUPPORT REQUEST and I will reach out to book a 30 minute call. I will be holding monthly conference calls to open up questions as a group. I look forward to updating MY LONG LIST OF PURCHASES DOWN BELOW! Let's chat about our bright coaching futures and the tools that will get us there! I bought all 4 Seasons! It took me just minutes to edit each work book! I highly recommend this to people who spent a ton of time launching other programs (such as your 6 month program) and can appreciate the simplicity of this one! Clean, clear message, great resources, impressive workbook, less headaches than other programs. 30 days of tech support- NOW extended. I am personally going to use these for 2014 and 2015 entire year. Very excited. I will be opening a special coaches Forum with launching tips in Summer 2014! Use my affiliate link and you are in- A forum for the YEAR that includes tips, support, photos and looking for amazing coaches to come in with me and do this right! They do have Coaches forum for coaches- Open until July for Summer. Click Below to Purchase ALL 4 seasons of the Detox/Cleanse. You will not only receive Technical Support from Amy for 30 Days BUT have my launch support as well. I have personally launched 3 seasons of a Clean Eating Program- and have learned a great deal. VERY EXCITED. Also includes how to videos and marketing/promotional emails! B2B 52 Week Meal Plans- Has supportive coach forum. Tammi worked very hard on creating these plans and for less than $2 a week we can take the time to customize them and make them available for our clients! Thanks Tammi! Flexatarian and made for every family going through a healing food transition. Created to support your six month program, so in time your client will be supported in independent action. 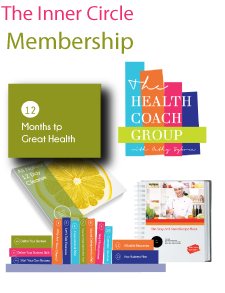 The Health Coach Group- Inner Circle! Has affiliate Program. Very resourceful programs for all aspects of coaching- you are able to customize the programs and place your logo on them- but you must note any changes and leave the copyright information at the bottom of the pages. I personally find many of the programs useful in assisting me in having a wide range of additional handouts and resources for nutritional facts, exercise tips, essential oils facts, christian cleanses- the works. I love having handouts, recipes and resources at my finger tips. There are forums- lots great coaches too! Remarkably affordable programs to get you moving and a very generous affiliate program. I am hearing great things from several coaches that I respect so I am starting to test drive them myself this week! I don't see risk in this direction because she offers programs we need and we can personalize and use for our own- plus if you love them you can sell them for very quick return in your investment. Pretty excited about this! Ling says her most popular programs are the: 21 Days of Wellness Email Program is always a favorite, and the discount bundles sell well too! She has generous affiliate programs and affiliate swaps. Amazing photos you can customize. Her forums are fun and everyone seems to adores her. No affiliate program or Forum BUT - 3 great tiered prices that include the option of receiving updates! Easy to customize in power point and I am very impressed. One of the best content workshops I have purchased! Well done! I bought the $87 top tiered option. Thank you! Kim- I LOVE THIS PRODUCT! 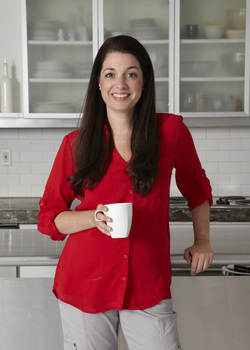 Jennifer Tremblay- Empowered Health- She has an awesome power point on sale! And a coaches question and answer group! I love her passion and style! Great “Holistic Health Overview” PowerPoint presentation for mainstream groups. Touches briefly on the key concepts we learned at IIN and stays clear of anything potentially controversial. Did you see the shirt I am wearing in the picture below? I wore this to the IIN conference and now wear to the health food store to drum up business! These shirts are conversation magnets! 100% cotton. Made in the USA. They’re comfortable, professional and flattering! And look great worn by itself, dressed-up under a jacket or sweater, or dressed-down with jeans or yoga pants. Available NOW in black, white and pink. Check back often for other styles and colors! Pure 10 Day Christian Clean Eating Program- Are you a Christian and wondering about programs? It is a great addition to your Christian Coaching Plan OR if you want to do deeper yourself! (add on to your recipes list!!!) Program is on Sale for $47 and has an affiliate program. Comes with powerpoint, ebook covers, you can personalize the program, shopping lists, recipes, 10 Day Bible study. AMEN! Praise the Lord:) Need a Lent Program? Click here to visit Vicki Manuel. Terra Milo- Your Computer Girl for Learning Technology workshops and putting on logos etc. I purchased her "launch in 3 days workshop". I use this for every launch that I do. It covers making banners and resizing in Pic Monkey. Terra Milo's programs changed my life and continue to every seasonal launch! When I want to jump out of my skin in frustration with technology I just log into one of her videos and I know I will be okay. Happy Launching! ++Full Disclosure- I just got an affiliate link on 3/10/2014 I didn't know she had one prior! Kristen Hedges- have some videos and resources on her site for coaches. I am making a list of GREAT and NOT GREAT tech support from Logos, Websites designer, Virtual Assistants. Feel free to contact me! Obtainable Wellness with Jamie! New Year's and Holiday Group- Beautifully done! She offers many other programs. Great to expand in the direction you want to go into! I just bought a done for you website- stay tuned for reviews. LOVE Jamie's Weebly Websites- if you need a website in 1 day! She is your girl. She has an amazing marketing to marketing forum for coaches! She gives daily inspirations!!! More to come! I am currently reviewing several programs and working on official testimonials and reviews! Please free to email me to set up a time to talk! Save some time and money- let's talk about what you want and some tools that may be able to get you to the next phase of your coaching practice!